Two Beautiful Families Coming Together As One! 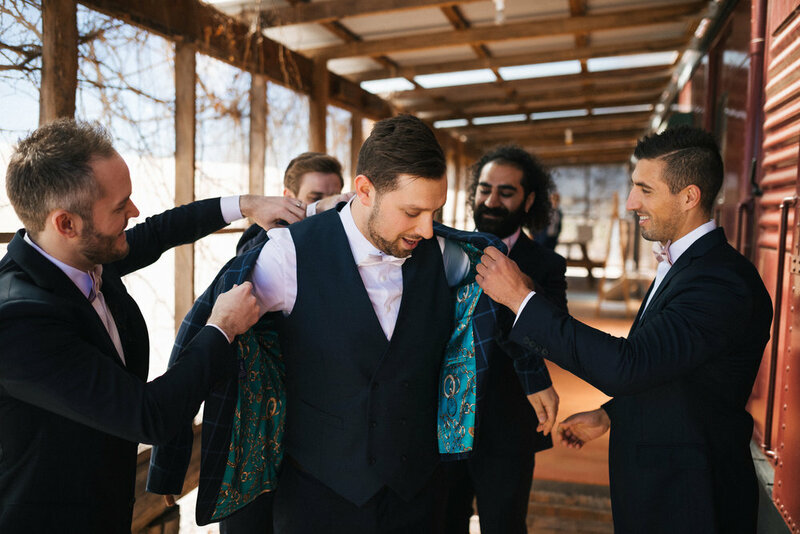 Chehade got down on one knee to ask Jess to share his last name and spend the rest of their lives together but he chose to steer clear of the typical cliche and classically romantic route and instead chose something a little left of field. He took jess to the Paniq room at the rocks in Sydney CBd - a real life escape room. Earlier that day he had snuck off and delivered the ring in the safe hands of the staff at the paniq room so that they could plant it in one of the rooms for jess to find later that day. jess looks back on the moment telling us that "After a long winded 40 minutes we finally managed to make it through to the final room. To add to Chehades already nervous state I managed to look in every nook and cranny of the room unknowingly avoiding the one box where he had been told the ring would be. I finally made my way to the back of the room and opened a white box which was full of a series of photos and another white box. I opened it and there I found what looked very much like a ring box. Before I had a moment to gather my thoughts there he was on one knee asking me to be his wife. Of course without hesitation I replied with a yes and I guess the rest is history! I have to say he really did outdo himself - I was so happy that I was genuinely surprised in that moment." 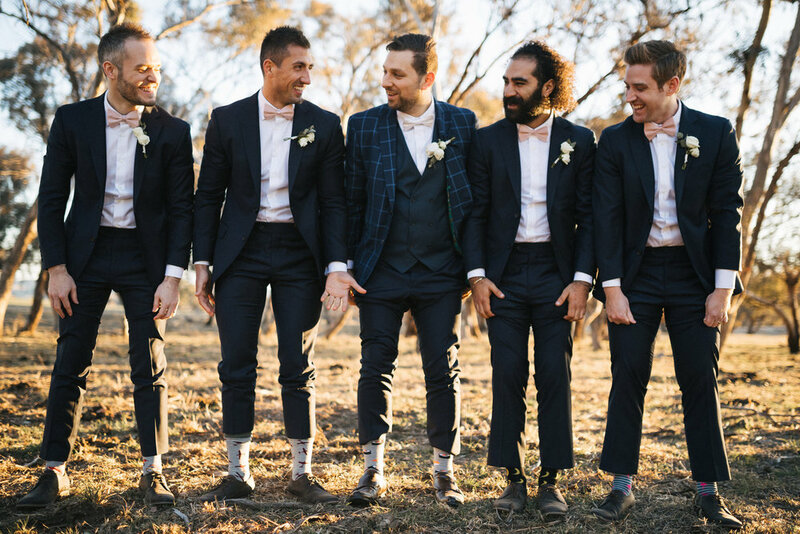 After looking at countless venues across Sydney and not finding any that suited them, Jess and chehade made the trip out to our little piece of paradise west of the mountains from their home of sydney to see the boxgrove farm where they said that they instantly fell in love and were blown away by a wedding venue so personal, and how comfortable and at home it made them feel. "We came across Wedshed, a search engine for unique wedding venue locations, and it was here where we first heard of BoxGrove. 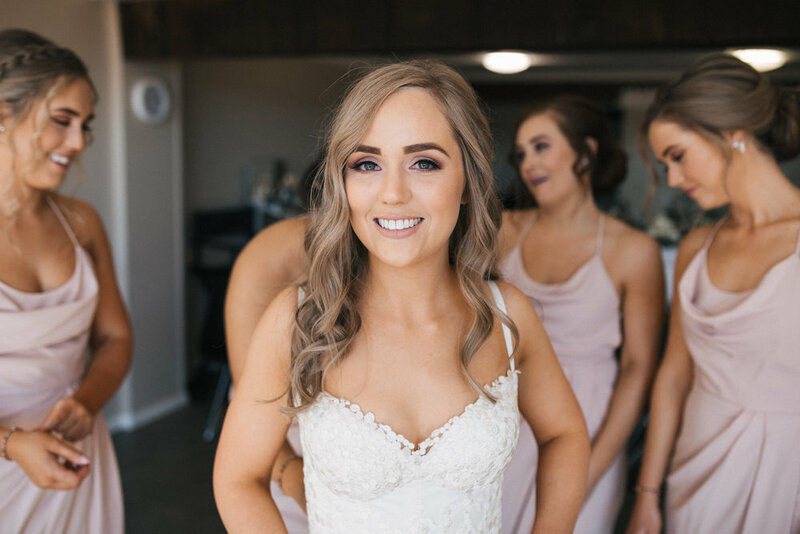 Our initial reaction to the idea of a Bathurst Wedding was very foreign to us, since neither of us had travelled much further than the blue mountains. However after seeing the photos and what BoxGrove had to offer we knew we had to go see it in the flesh to be able to make the final call. Having always wanted to get married in a church this was a massive dealbreaker for us. Although we saw that BoxGrove could accommodate for a beautiful garden wedding we did find a cathedral in town which again ticked more boxes. We were welcomed to BoxGrove with open arms the day we visited, shown around the property by Melissa who kindly shared with us the journey of the sister team and how BoxGrove came into being. 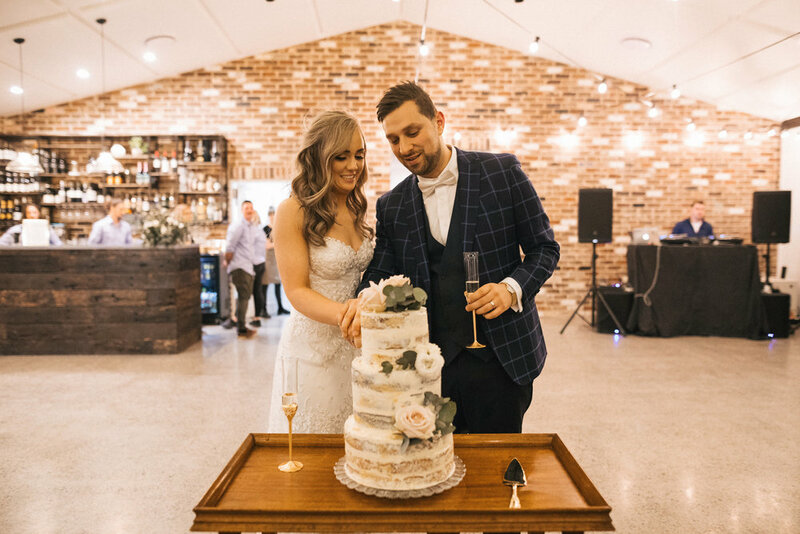 We were both blown away at not only how much work had gone into making a wedding venue so personal, but most of all how comfortable and at home we felt there. This for us is what cemented the decision to choose BoxGrove to host our wedding celebrations." - Jess, Bride. Both coming from large families of 4-5 siblings their love for their families is something that they both have shared in common from day one. "Family means the world to us and having been together since a young age, we have had the privilege of having our families really get to know each other over the years. It was important for us to be able to integrate a bit of both of our heritage and cultures into our big day. BoxGrove was so accommodating to make this happen and encouraged us every step of the way from the Lebanese drum entrance and free flowing spirits all night, to the Aussie Anthems on the dance floor and breakfast in the morning. This really made our day so special! One of our favourite memories of our wedding that stood out to us was the time we got to spend together taking photos on the BoxGrove property. 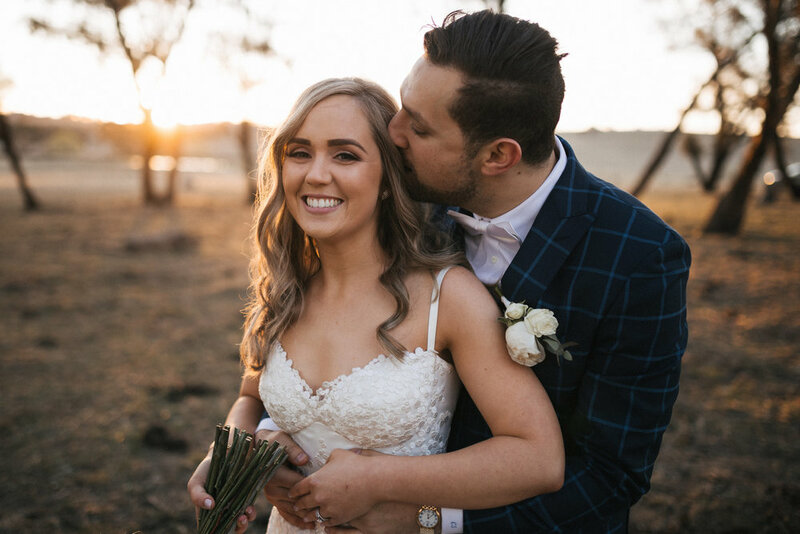 It sounds a little cliche but it felt like we were the only two people that existed in that moment, with all but a sunset and view of rolling hills behind us, This was the first real time we got to spend together intimately as husband and wife. we both agree that we wouldn’t change anything if we had the time over!" - jess & Chehade.